San Juan, Puerto Rico - FIBA Americas has confirmed that this coming Wednesday, May 9, 2012 at 4:30 pm / 16:30hs (local time in Puerto Rico) the draws for both 2012 Centrobasket Championship, Men’s and Women’s, will be held. The 2012 Centrobasket Championship for Women will be played from June 12 to 16 in Morovis, Puerto Rico and will feature national teams from Cuba, El Salvador, Jamaica, Mexico, Dominican Republic, Trinidad and Tobago, US Virgin Islands, and host Puerto Rico. Meanwhile, the Championship will be played Centrobasket male 18 to 24 June at the Coliseo Jose Miguel Agrelot "Choliseo" of San Juan, Puerto Rico with the participation of national teams from the Bahamas, Cuba, Costa Rica, US Virgin Islands, Jamaica , Mexico, Nicaragua, Panama, Dominican Republic and Puerto Rico defenders champions. 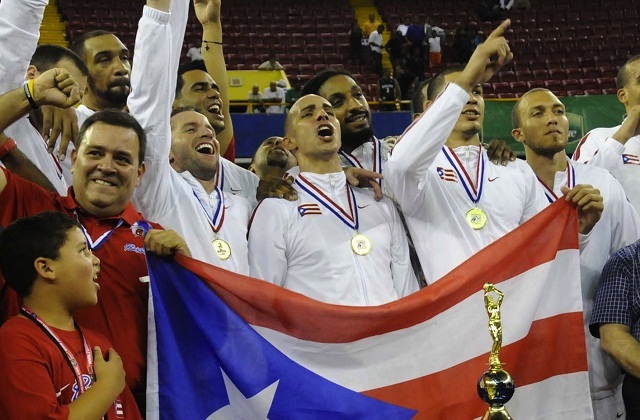 Both tournaments, male and female, qualify four teams for the 2013 FIBA Americas Championship.